The next flight you book with us might be a one-way ticket. Whether you’re a surfer or not, you will fall in love with the island lifestyle, people, and the waves. 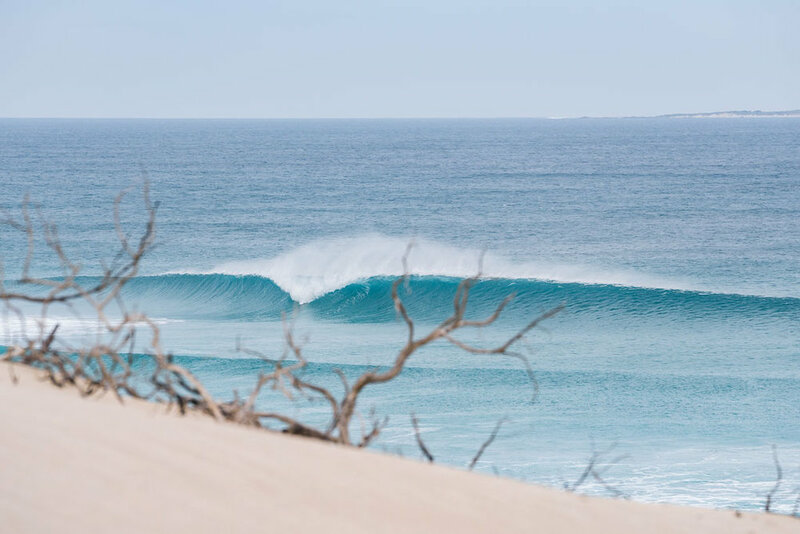 An island caught in a bygone era, King Island has hosted many of the world’s top surfers looking to get away from the crowds and catch a few of the islands amazing waves on the way. Navigating the island can be difficult when searching for many of the best surf breaks. Having local knowledge is critical in accessing many of the waves which are only accessible using a 4WD and a good sense of direction. Before your group departs from Barwon Heads airport we'll spend 10 minutes to scope out the conditions for your up-coming trip, and help direct you where to find the best surf given the conditions - We also provide you with a map to help find those more difficult spots. We don't giveaway all the secret spots though... after-all what's a surf safari if there's no adventure and thrill of finding you're own waves. Winds in Summer generally prevail from the south-east which opens up most of the west coast of the island to surfing. Beaches like British Admirals, Porkies, and Phoques Bay are all often fantastic surfing during these months, with water temperates reaching up to 20 degrees. Winter sees a shift with the prevailing winds coming often from the west to south-west. Martha Lavinia and around Colliers Beach areas are the favoured spots to find some great waves usually at this time of year. Water temps get down to around 12 degrees - so 4/3 wetsuits and booties are the go! Though no matter when you visit King Island, because it's an island the wind is always off-shore somewhere and there is nearly always swell. * Use map as guide only. Phoques Bay, on the north west coast. Offshore in any wind with east in it. Best at low to mid tide. Any swell over 1.5m creates a perfect wave for the beginner to the hell man! Martha Lavinia, on the north east coast. Offshore on a south westerly. Best on low tide with anything over a two metre swell. This surf break has been voted by Surfing Life Magazine as one of the top ten waves in the world. A stunning sandy beach on this island paradise. British Admiral Beach, is Currie's closest surfing beach. It is a long, sweeping beach with curves of sand backed by dunes, with good surfing at the southern end. Breaks on any wind with east in it and any swell, rarely flat. Red Hut Road, leads to the stunning Colliers Beach and Seal Bay on the south of the Island. Offshore in west to northerly winds and a "U" shaped beach helps find a protected corner. Porky Beach, Off-shore in an east wind. Will break in the smallest of swell up to 2m. The ONLY access to Porkies beach is via Barnes Rd (through the KI Cheese Factory) which reaches the southern end of the beach, from there a 4WD is require along a soft sand beach (BEWARE of soft sand and tides and please do NOT drive on private property to access the beach). Disappointment Bay, don’t let the name fool you. A fun intermediate / beginners wave. North of the island & offshore in a south wind. Best on low tide in a 2 metre or bigger swell. Surfing etiquette on King Island. You are about to experience an incredibly unique Australian island and surfing adventure and we are stoked to have you onboard and make sure your trip is the best experience possible. 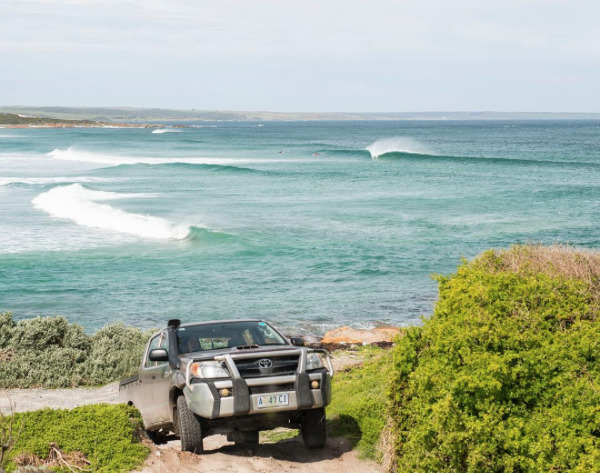 The King Island community has been hosting visiting surfers from all over the world for many years and are proud to show off their amazing island with its pristine environment and waters. The local KI surfers and community are renowned for there incredible friendliness and generosity. The great hospitality and good vibes are testament to the friendly nature of the locals and also due to the visiting surfers who have shown respect to the locals and local environment - while seeking an authentic surfing experience in a unique place. The KI surfing community is a small and tight knit group. When visitors disrespect the locals, their cultures or island laws - word is quick to spread and we usually hear about it by days end. King Island Surf Safaris are judged by the local King Island surfing community based on how our guests behave and we consider ourselves fortunate to be able to visit and enjoy such an incredible place. Be respectful and it will go an incredibly long way with the locals - you’ll actually be surprised to what extent good old fashioned values can be reciprocated! Unlike many places on the mainland, more than 4 people on a spot is considered crowded! If there are already people surfing a spot find another spot or wait until they have had their fix. Always give the lions share of the waves to the locals - even if you rip. Respect the beach. Don’t litter. Simple as that. Pick up your trash, and try to pick up a few pieces of trash before you leave even if it’s not yours. Drive responsibly. The roads and tracks have blind corners and lose gravel. Don’t speed or drive recklessly. If you mess up and accidentally drop in or mess up someone’s wave, a quick apology is appreciated, and goes a long way to reducing any tension. We see it as an absolute privilege to be able to take guests to enjoy this special place. It’s our desire to maintain the generosity & respect the local KI surfing has shown in the past to visiting surfers is maintained to all our guests in future - and we never take this for granted.